Intonal, taking place for the third year, is a barometer indicating the state of new electronic music, most importantly in the fields of sound art and the more experimental sides of club music. 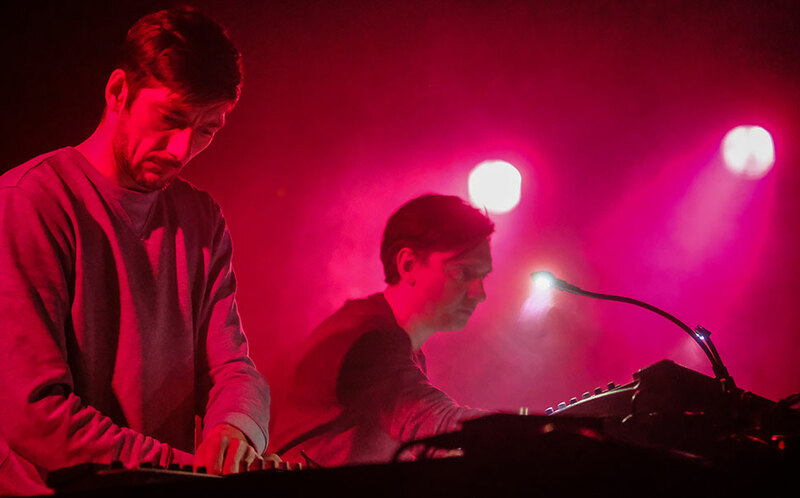 Many of the artists on this year’s roster are explorers in timbre, frequency and acoustic states, often times in live sets that appear to be created in the moment, which is however not the case. Everything is meticulously planned. 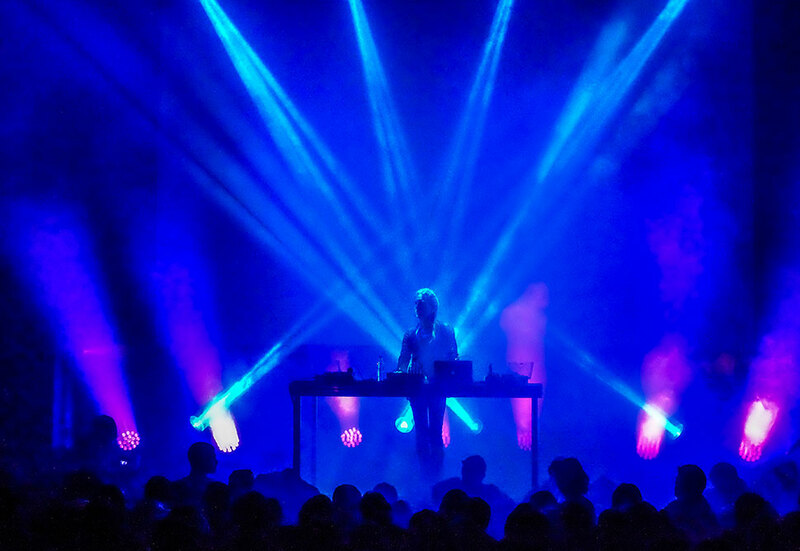 As one of the festival’s headliners, William Basinski, stresses; electronic music is mostly about planning. Consequently it comes as no surprise to learn that a full three hours have been set aside for soundchecking a concert lasting just under the hour! 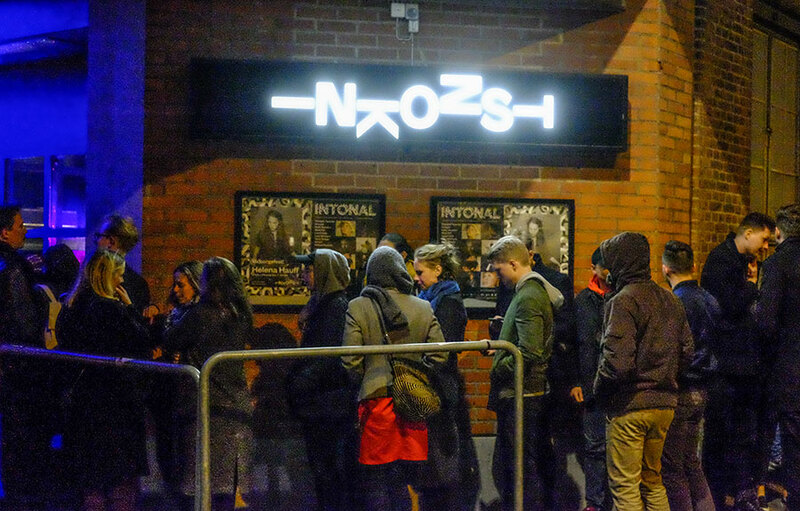 This year, Intonal flexes its bow decisively, spanning over four days and employing a broader booking strategy with concerts taking place in several locations throughout Malmö, not just concentrated to the cultural centre Inkonst where the main stages are located. It all starts inside a steeple, the water tower in Pildammsparken, where an ambient performance acts as pitchfork, setting the tone for things to come. It rings of adventure, inclusion and fellowship. In St Paul’s Church, Australian guitar player and sound artist Oren Ambarchi makes the sacral space gently oscillate through a slow-swelling improvisation, where the guitar is the sound source building upon itself in layers of loops and sonic treatments. Ambarchi’s music challenges the listener not only when it comes to attentiveness to detail, but also in a purely physical way, with sounds ranging from a muted volume to quite forceful levels, and he manages to turn the church hall into a truly impressive body of sound. An ingenious start to the festival for my part. The cultural space Inkonst holds three stages – one for club acts, one ”concert” stage, and another one in the foyer – complemented by the welcoming live radio broadcast stage Red Light Radio near the entrance. 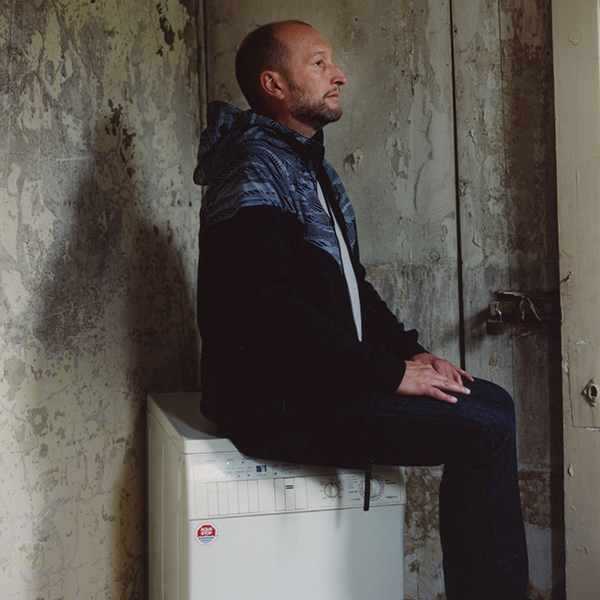 Further inside, installations by Mark Fell and others could be found, alongside rooms for panel discussions, addressing among other topics gender issues in electronic music. How suitable then to invite Susanne Kirchmayr (Electric Indigo) for a concert and a part in the talks. An employee of the iconic Berlin record shop Hard Wax during the 1990s, and now spearheading gender debate in club culture through the female:pressure initiative she has plenty to share. Her piece ”109.47 degrees”, referencing density and durability in soap bubbles, makes for a mellow examination of timbre and movement, dynamics and perspectives, vastly separated from the banging techno she was practicing in the Berlin rave scene of the 90s. It is almost as if the sound material is comprised solely of the brief pauses in her past club sets, now being the only remnants left to explore artistically. Those looking to learn more got to meet Kirchmayr in an inspiring one on one talk with culture journalist Mats Almegård, as part of his live interview series Gram(m)ofon. We were served a fascinating glimpse into the male dominated clubbing subculture with Hard Wax as its axis, the place where she found the fueling motivation for what would later become female:pressure, and her efforts to create a club scene built on equal terms. Looking to the gender representation at Intonal, the festival has managed to balance itself strikingly well in this department. 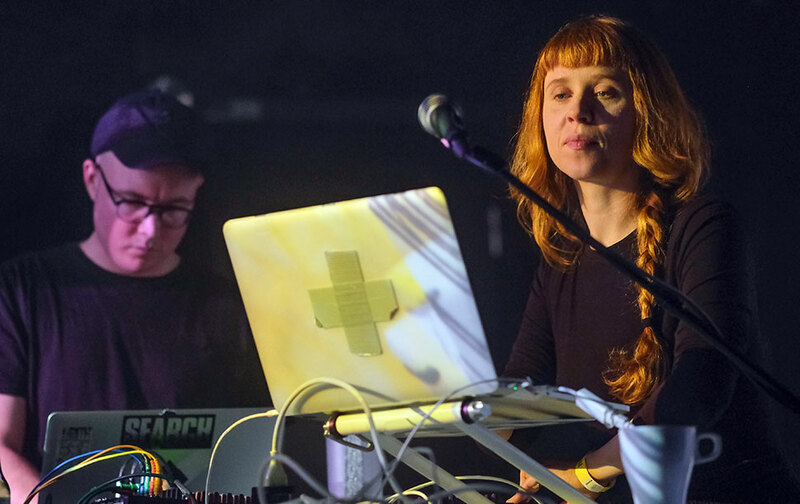 We get to see some of the best things the sound art scene has to offer at the moment: Laurel Halo’s broken up beats, Anna Zaradny’s visually paired constructions, Kara-Lis Coverdale’s symphonic dreamweaving and Holly Herndon’s more danceable tunes, hinting at a new direction that points even deeper into dance territory. And to further strengthen the scene’s fundaments; two instances of Acousmatic For the People, an orchestra of speakers playing new compositions by Sten-Olof Hellström, Katt Hernandez, Allessandro Perini, Jacob Riis and others. Here is also where some of the real strong points of the festival can be found – by viewing the scene as a historic continuum; the electronic scene of today owes its thanks to those who gave us the instruments during the 1950s and 60s. Pierre Shaeffer, Pierre Henri, Karlheinz Stockhausen or Mauricio Kagel. When a festival management recognizes that connection, an event such as this can function as a veritable schooling. 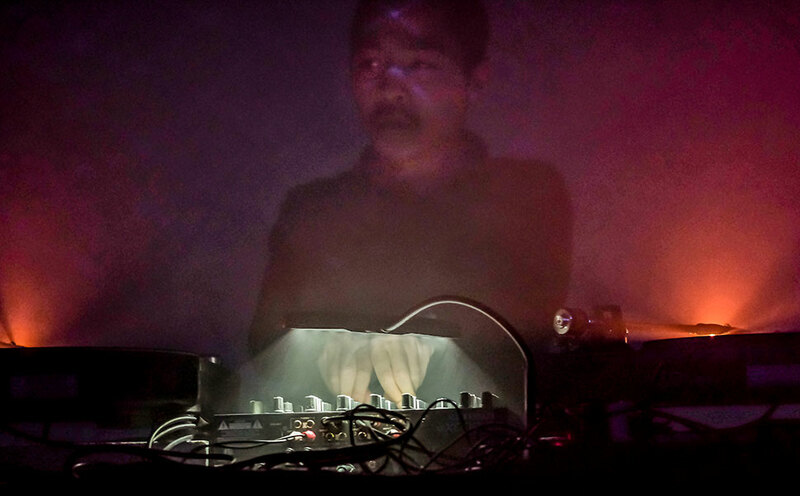 As before, Intonal is paired up with Krakow’s Unsound festival and the Berlin-based CTM festival, and it strikes me that Malmö is moving gradually closer to its Polish sister. And all for the better, as these tendencies break up the habitual and bring in the unexpected. Several such jolts were to be found here. Phoung-Dan, resident DJ and club host at Hamburg’s Golden Pudel Club, brings a showcase presenting three fantastic acts: free jazz icon and Berlin-based drummer Sven-Åke Johansson, vocal artist Ghèdalia Tazartès, and C, an electroacoustic duo dealing in fascinating live sound treatment and transformation. The wordless throat singing and electronic improvisations brought forth by Tazartès, dubbed ”impromuz” by the artist, clearly differs from most of the other music presented at the festival, and Sven-Åke Johansson’s performance piece ”We-Pa – solo piece for cardboards” most definitely so. 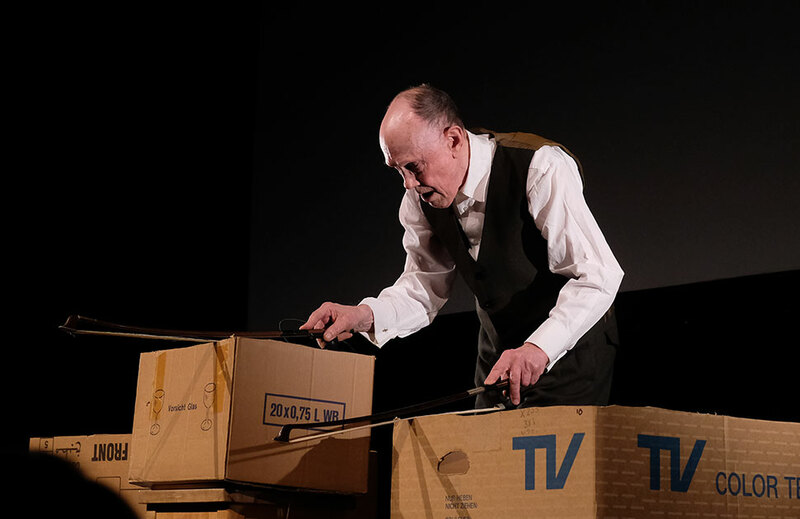 Armed with two bass bows and four cardboard boxes of various sizes brought in from Berlin for the occasion, he probes the carton material, turning it into a sound source by playing its edges. He constantly manages to keep a perfect pitch, sometimes adjusting the tension of the cardboard by kicking it lightly. So well-executed and humorous. And thinking outside of the box, so to speak. The analogue instruments are also present in some memorable solo performances, most notably by New York dwelling South Korean Okkyung Lee, who delivers an exhibition of brutal cello handling. In a flash of a technical power struggle, she becomes one with her instrument and gives rise to the most astonishing sounds I have ever heard from a cellist. Likewise, Polish guitarist Raphael Roginski, partly known for his interpretations of early John Coltrane, is technically stunning and quite romantic when the playing gets softer. Holding an electronic music festival without a high end sound system is of course impossible, and one reason there are so many highlights over the course of these days is the top notch sound quality. It becomes especially apparent in the contrast between quiet and strong expressions. When it is supposed to be subtle, it really is, and when it is forceful you feel it – an inspiring sonic landscape for the artists to work in. The real trial by fire came with the duo Sendai (Yves De Mey and Peter Van Hoesen), whose music makes for a true challenge. In their works you will find all the elements all at once, silence pitched against loudness, droning against strong rhythms in a scattered tonal world seemingly co-improvised on stage. The concentration is total, and the audience follows suite. This proved to be one of the strongest efforts this year, and Sendai feels like a given poster name for the coming festival summer. The highly anticipated finale of the festival is an aural opposite. Ambience and minimalism awaits, in the form of American double feature Grouper (Liz Harris) and William Basinski. The folksy ambience of Grouper, illustrated by fragmented video sequences, contains both hope and grief with a starkly intimate atmosphere tailored for Basinski to build on. First we are treated to his eulogy over cohort David Bowie, ”A Shadow in Time/For David Robert Jones”, mournfully moving around a looped saxophone theme, and at the end an excerpt from his Magnum Opus ”The Disintegration Loops”. 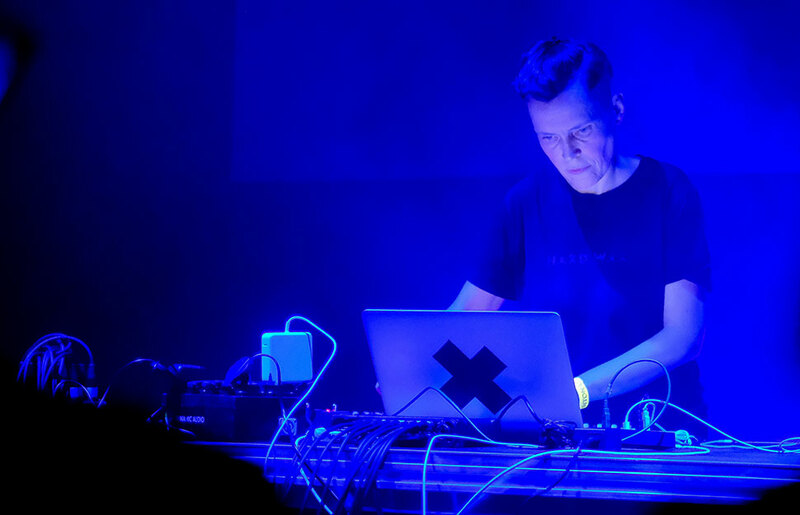 Basinski takes command of the stage as a ”space cowboy” full of rock poses, with a stage outfit glittering in the spotlights, encircling the audience in a sonic world of melancholy bereavement. Poignant. If you are the type that will not settle with concerts, installations and panel discussions, there is always the option to move on to nightly seances where the dance rules are sovereign. One such morning, two of the head honchos of the festival – Ulf Eriksson (Kontra-Musik) and Kanyl (Björn Jumme) – teamed up for a sweaty lesson in energetic techno, making you never want to pick up and leave for home. And that goes for Intonal as a whole; you never want to see the end of it, just for the loop to continue playing. Translated into English by Sounds Of A Tired City. For the original Swedish version, visit Mono Magasin.